This article outlines what to do when source material does not open in SecureClient. If your device's settings are improperly configured, you may see an 'Error 8008' message when attempting to open source material in SecureClient. This error is caused by an incompatibility with the 'Trusted Documents' setting in Microsoft Office. To fix the issue, open Microsoft Word/Excel. 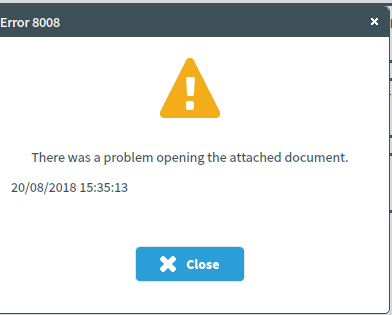 Navigate to 'File' > 'Trust Center'. 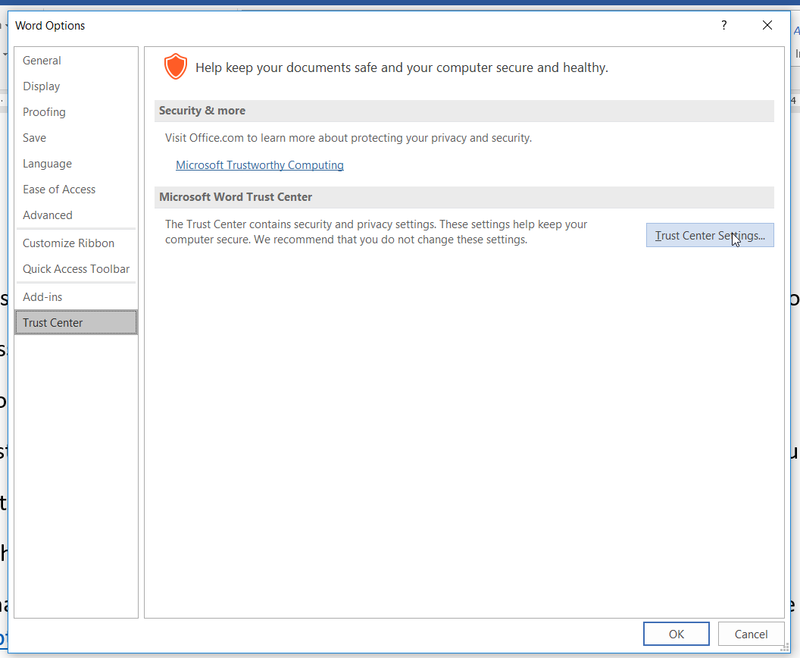 In the 'Trust Center' window, select 'Trust Center Settings...'. 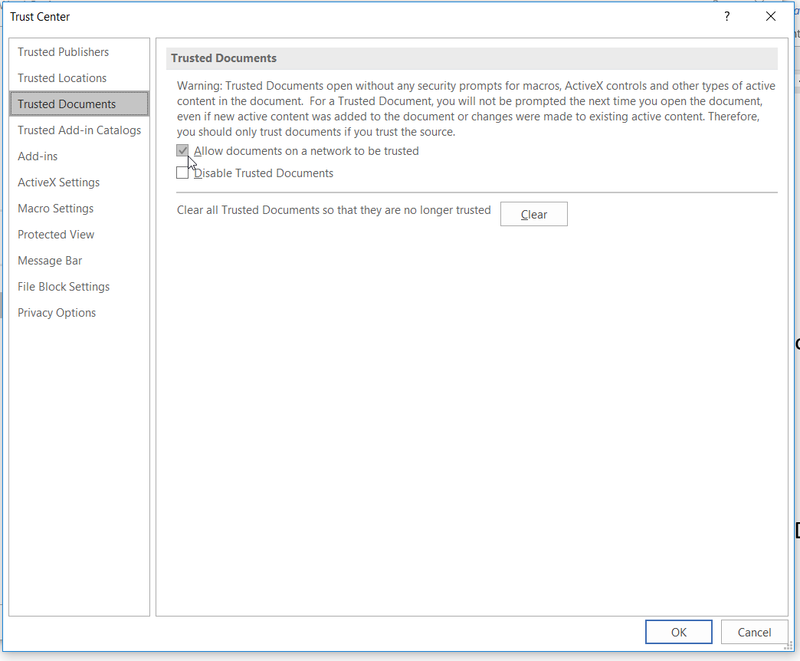 Locate the 'Trusted Documents' tab and ensure that the 'Allow documents on a network to be trusted option is checked. Finally, ensure that Microsoft Word and Excel are set as the default programs for documents and spreadsheets by navigating to 'Control Panel' > 'Programs' > 'Default Programs' > 'Set your default programs'. Note: The above filepath refers to Windows 10. If you run an earlier version of Windows (e.g., Windows XP, Windows 7, etc. ), the filepath may differ slightly.